Get ready to ship them even more! Valentine's day lang. walang Happy ???? Carlo then sent Angelica a bouquet of white roses, which she replied to on her Instagram Stories, saying, "Hinusayan! One point ka sa akin." Cuuute! Carlo surprised Angelica again when he suddenly arrived at a book launch she was attending—and it just so happens that the book is about hugot lines and exes. It's no wonder fans have been clamoring more and more for them get back together. But while they continue to tease their relationship status, we still get the next best thing: They're doing a new movie together. “Meron, meron, meron. Parang rom-com ‘yong binibigay sa amin,” Angelica says in an interview by ABS-CBN's Push. 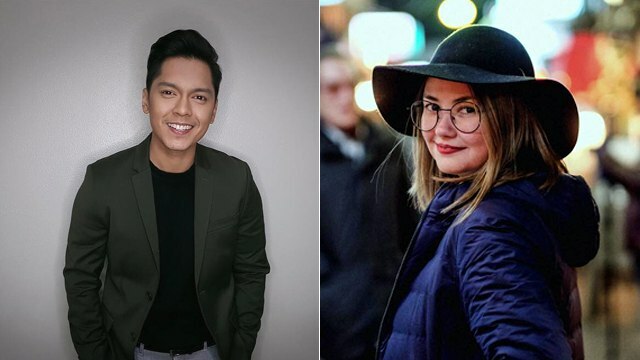 Angelica and Carlo were together for six years before breaking up, back when they were teens. Of the breakup, Angelica shares that it was because they weren't mature yet. Angelica went on to have a six-year relationship with Derek Ramsay (which ended in 2012) and dated John Lloyd Cruz after that. Meanwhile, Carlo recently just broke up with his non-showbiz girlfriend of six years.